Looking to buy a lasting memorable gift for that special someone or for yourself? 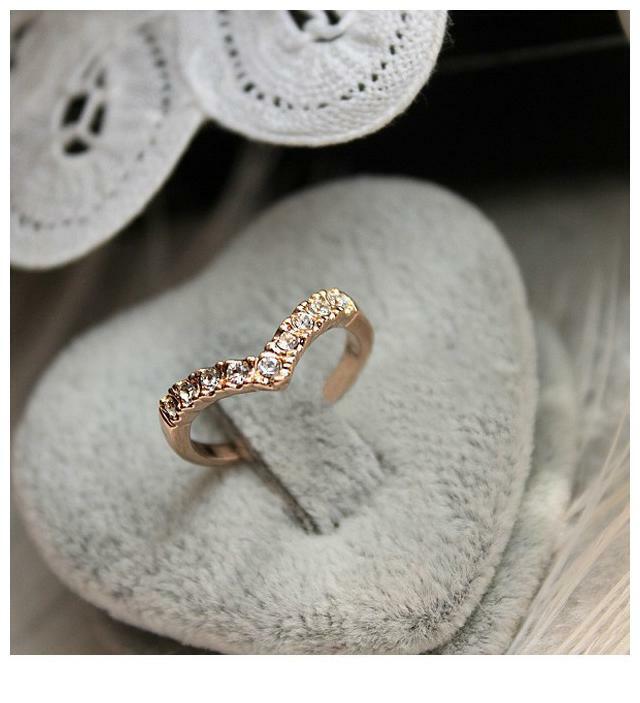 Give this quality fashion jewelry Popmode classic V-shaped unique design models diamond finger Ring for Girls as a special gift to your loved one to commemorate a meaningful journey or use it as a beautiful personal piece that would complement you and your Love. So buy this to give a long lasting impression to your loved one. For Shine and Protection, this is just like a diamond wing which is glossy gold plated and making it the perfect fit for any party or special occasion with its graceful design complements with any ethnic or western outfit. With its affordable rates and unique shopping experience, we help you out to be your one stop destination for making a spetacular look in any occasion.